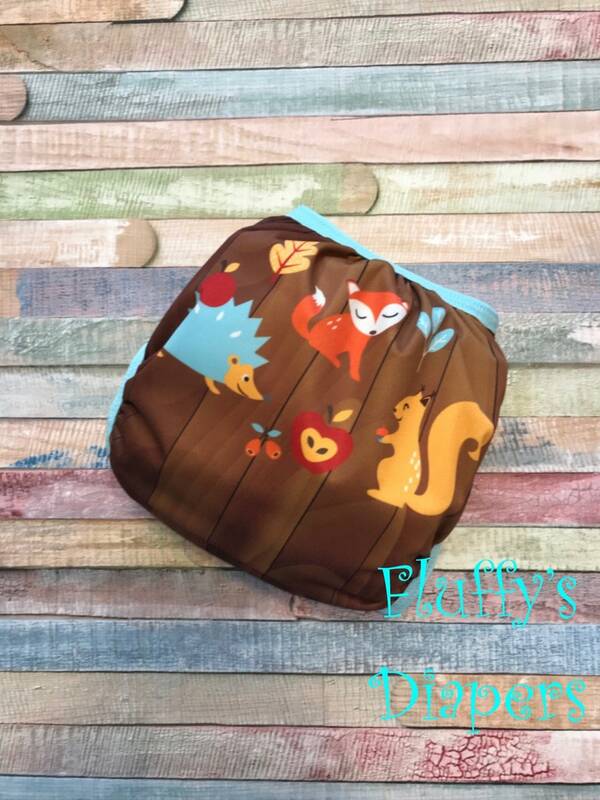 Your little one will look adorable in this fabulous Woodland Animals polyester PUL waterproof cloth diaper cover. It is designed to work well with both fitted diapers and prefolds. You may choose your closure (Aplix hook & loop or snaps). Standard shipping for all of my items is USPS First Class Mail. You will receive an email from PayPal with your delivery confirmation # when your item has been shipped.